LZS-1903 is powered with four Intel® Xeon® processor 7500 series and up to 512GB of Registered ECC DDR3 memory in 32 DIMMs and this powerful server offers the ultimate in performance through multi-threaded, multi-core technology. Additional features include 90%+ power-efficient VRMs, high-efficiency Gold Level power supplies, optimized cooling, high speed connectivity options, onboard hardware RAID providing 6Gb/s SAS (-6 option) for additional storage bandwidth, and integrated IPMI 2.0 for advanced remote management. These new 4-way LZS servers support the full range of Intel® Xeon® 7500 processor SKUs. From performance optimized 130-watt to high-density rack optimized 95-watt SKUs, customers now have many choices to select the server that is best for their applications. These 4-way server solutions are particularly well-suited for virtualization, HPC, database, finance, oil and gas, engineering and research applications. 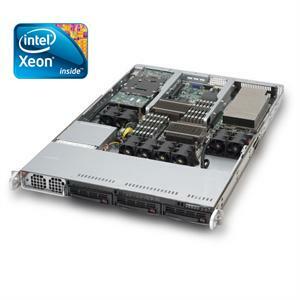 Additional features include 90%+ power-efficient VRMs, high-efficiency Gold Level power supplies, optimized cooling, high speed connectivity options, onboard hardware RAID providing 3Gb/s SATA for additional storage bandwidth, and integrated IPMI 2.0 for advanced remote management.